FIRST FLOOR CONDO with GARAGE! 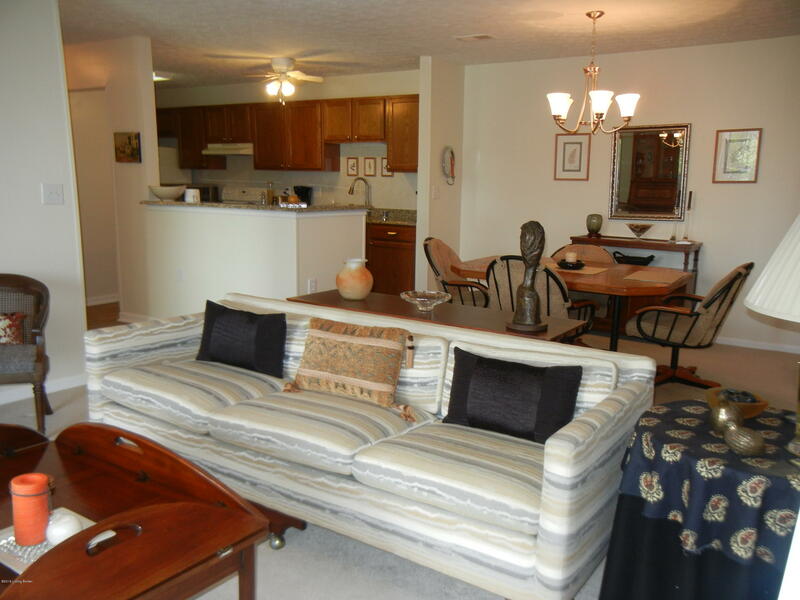 This 2-3 bedroom, 2 bath home offers lots of living space and storage with 6 closets. There is a bonus room currently used as an office which could be a third bedroom with the addition of a door and closet. The large living room is open to the dining area and kitchen which features beautiful granite countertops, updated sink, faucet and lighting. An additional cabinet has been added with granite to provide lots of counter space and storage. You'll enjoy the split bedroom plan providing privacy for yourself and guests. The master bedroom is quite large and will accommodate a king bed and a full bedroom suite. Plus the master has two walk in closets! A separate laundry room completes the inside space. From the living room is access to your patio for relaxing.